My kids loved the movie Despicable 3 that came out last summer and one of their favorite parts was the Dance Fight scenes. So they were excited to get a chance to try an advance sample of a new game called MAD MOVES which lets them have their own dance fight battles. 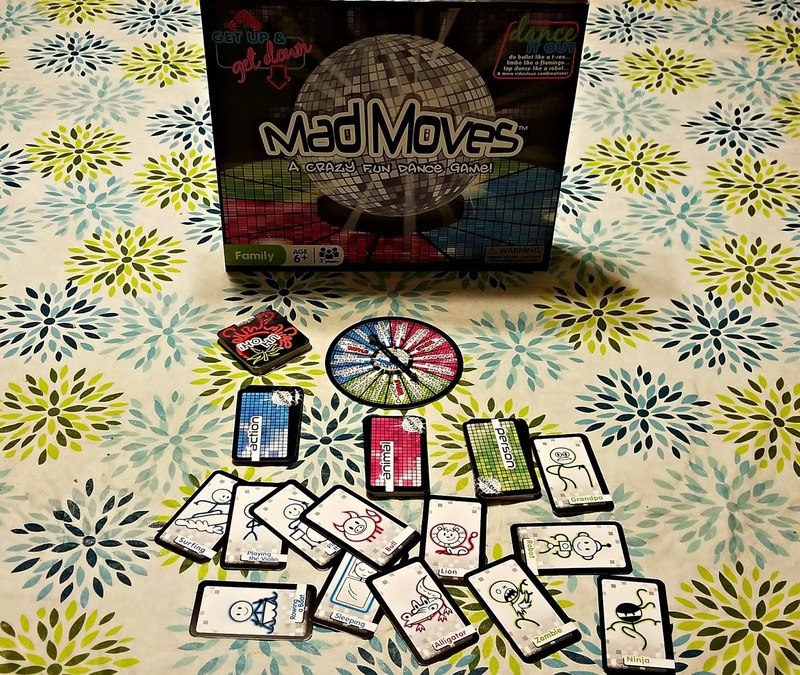 MAD MOVES currently has a Kickstarter campaign going to fund helping get the game off the ground. 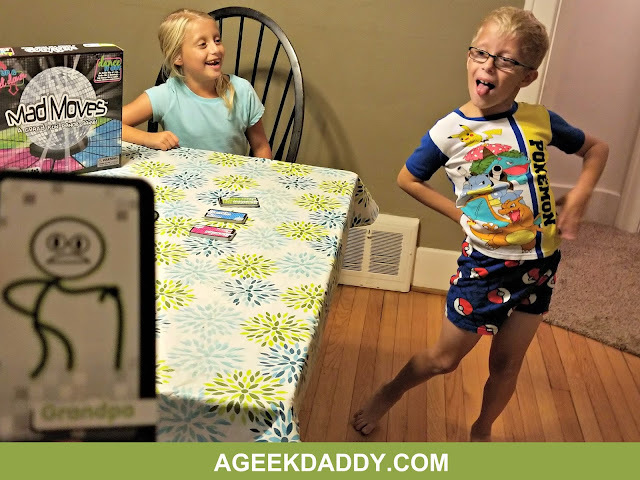 I'd encourage you to enchufla, moonwalk, or sashay your way over to madmoves.dance and make a Kickstarter pledge to get yourself the first edition of this game because my kids had themselves a good time playing the sample one sent our way. MAD MOVES revolves around a spinner and decks of cards which provide instructions that have players performing hilarious dances. 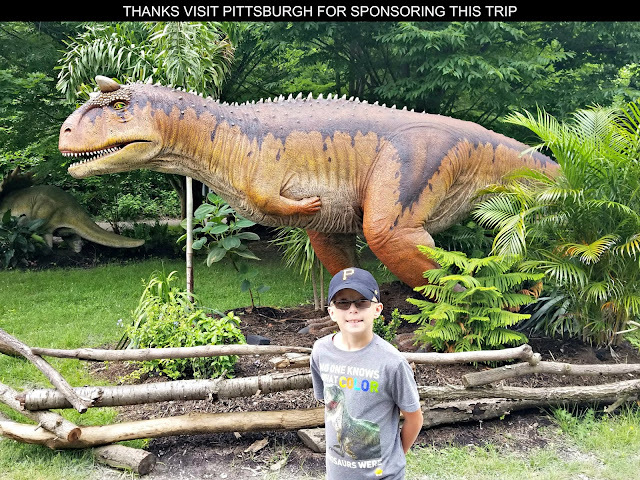 A player may have to mimic a T-rex dinosaur performing ballet, surfing while doing the limbo or tap dancing as a robot. You'll get some great exercise and generate a lot of laughs showing off your Mad Moves! Spin the spinner to see what type of dance moves you have to perform. Belly Dancing, Break Dancing, Ballet are just a few of the options. 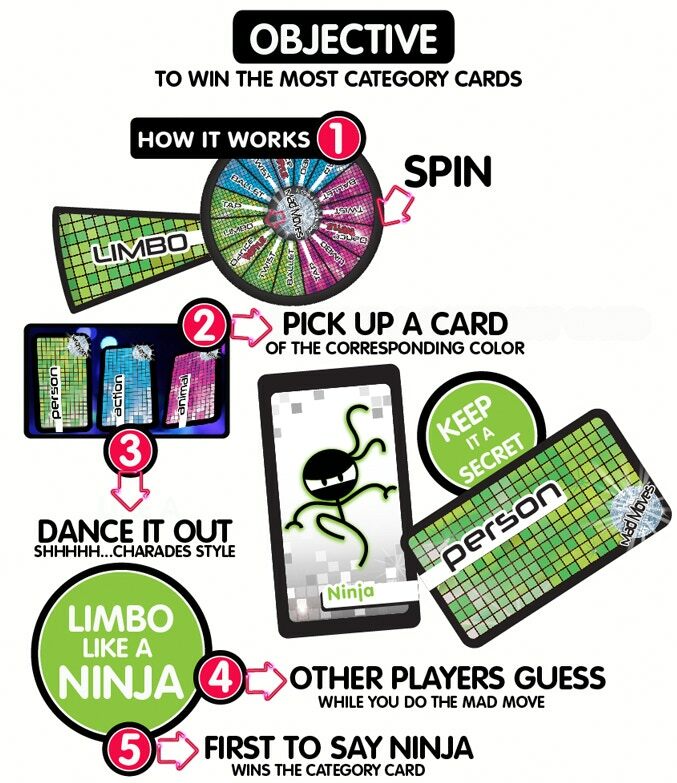 The shade of color for the dance move the spinner falls on also determines the theme of your turn. Pull from the deck of cards that matches the color the spinner lands on to be assigned a random person, action or animal to incorporate into your dance. Don't share what is on your card with anyone else. The other players will know what type of dance you are doing from the spinner but will have to guess what your card says. The first person who guesses what the dancer is mimicking wins that card. If no one is able to guess what is on a dancer's card then the performer gets thrown a tomato card and his or her category card gets shuffled back in the deck. The next person gets a turn and around the group the dancing goes as each person does a turn over and over again. When someone gets five tomato cards they are out of the game and everyone else who is left counts the number of category cards they have acquired. The person with the most cards wins the game! So here's a turn that occurred while our family played the game. My son spun the spinner landing on Green Break Dance. 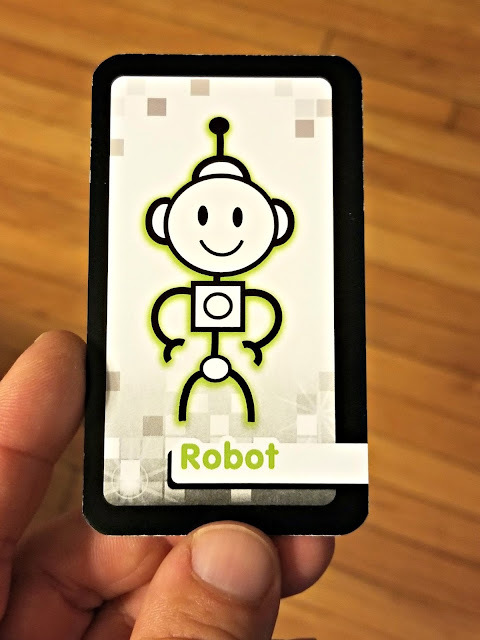 He pulled robot from the green deck of cards. Oh yeah, did I mention you can't talk or make sound effects as clues while doing a dance? That adds an extra level of difficulty into the mix. Have you ever seen a Break Dancing Robot? My daughter actually guessed what he was doing so she won a card. For another turn he landed the spinner on a green twist slot. He pulled a Grandpa card from the deck. So he had to do the Twist Dance as a Grandpa. My daughter didn't guess that one so my son got himself tossed a tomato. 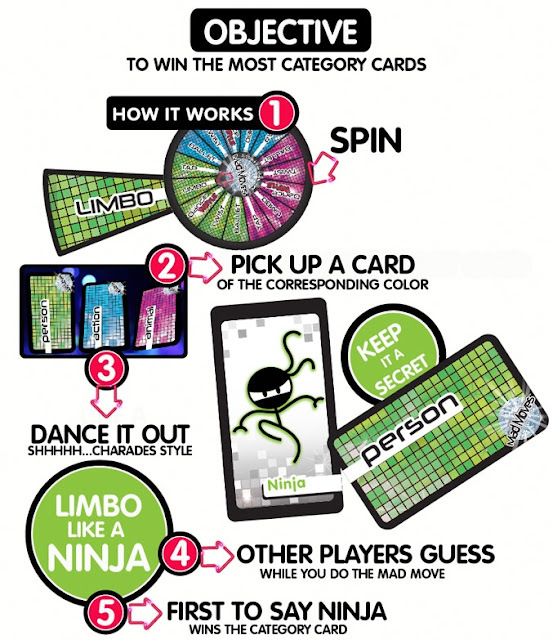 In addition to these charade aspect of the game, players can also land on Dance Battle slots on the spinner. The player whose turn it is selects an opponent to duel against. A card is picked from one of the three category decks that matches the color of the slot the spinner landed on. The first player does a dance move incorporating the category card theme. The other player matches that move and adds another. This goes back and forth until someone doesn't replicate all the moves during a turn. The winning player gets the category card and the loser gets a tomato! To keep players on their toes, they may also occasionally pull a Freeze Dance card from one of the decks during a regular turn or a dance battle. If you pick one, then you must strike a pose, scream FREEZE DANCE and the last person among all the players who doesn't mimic you gets tossed a tomato card. No one wins a category card during this round but a Freeze Dance could knock someone out of the game. 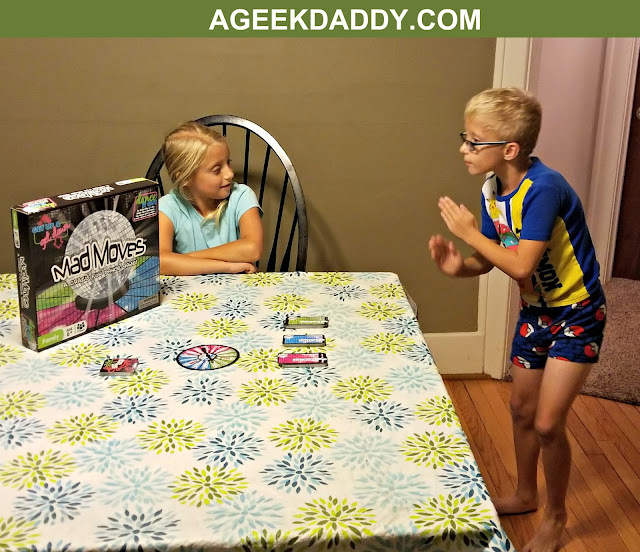 Do you have the moves to win at this game?! Head over to madmoves.dance to find out! 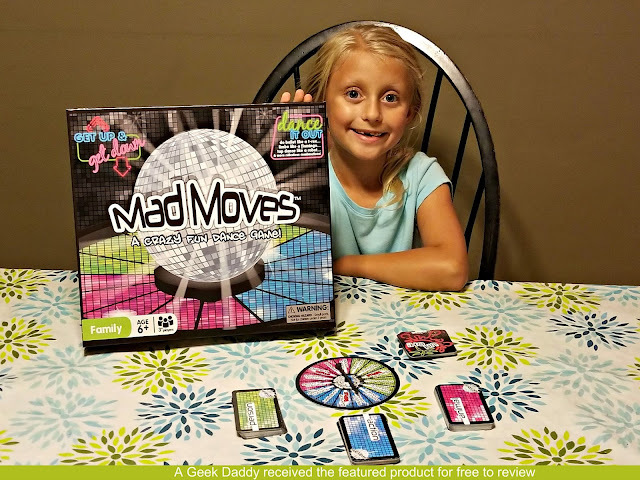 Based upon my kids delight in playing the game I'm sure you'll have a good time showing off your Mad Moves during a family game night. THAT looks like the best time my family and I will ever have with a board game. I have to get this for us. This looks like a fun family game! I bet my boys would really enjoy this! 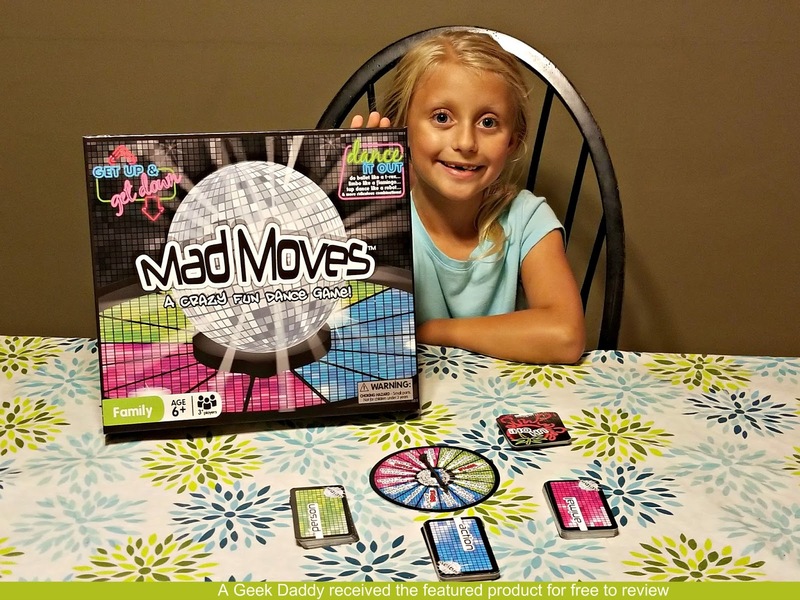 Your kids are adorable and look to be having a blast playing Mad Moves! We love family game night. It's the best night of the week! We always play board games together as a family at Christmas and the game seems perfect for that! I would love to see some of my family members attempt to do the robot! LOL! 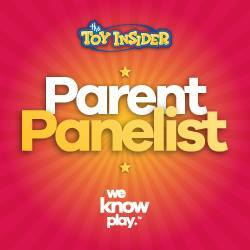 Oh this looks so fun and interesting games, My kids would really love this, Need to check this. That looks like a lot of fun! I love playing games with my family. We need to look into this one! This would be so much fun to play with my grandsons! I'm heading over to the Kickstarter campaign right now! That sounds like a fun game. I know my girls would love this. I'm going to have to look in to getting it for them. This sounds like a fun game to play with kids. I bet both of my boys would love this. That sounds like a fun idea! I really liked that scene in DM3 as well. Looks and sounds like a fun game. Definitely one our family would enjoy. I'll have to check it out. This looks like a fun game. I inagine much hilarity would ensue.